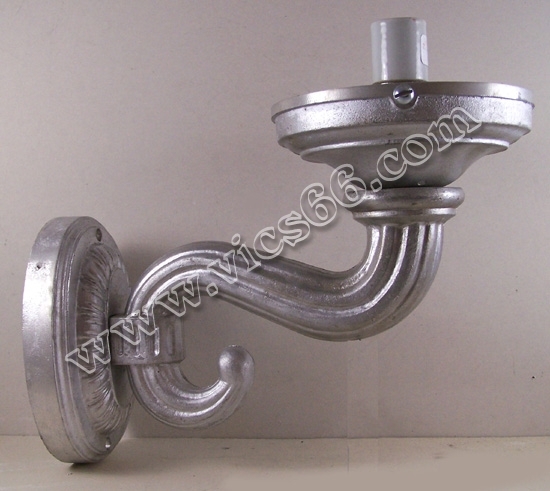 Ornate Cast Aluminum, 6" Fitter Works With All Globes Sold On This Site. Wired, Ready To Paint/Powder-Coat & Install. 25 watt or less bulb recommended but not included. Also works well with fluorescent bulbs. Using high wattage or very hot bulbs will damage globes or may even cause a fire hazard. Available Powder Coated in Many Colors for an Additional Charge Use Drop Down Box Above for Color Choices. Powder Coating takes an extra 7-10 days.